If you want to boost your running speed while cutting injury risk, increase your running cadence. That’s why stride cadence has become one of the key things to monitor and improve on among both elite and recreational runners. There’s plenty of ways you can improve running cadence, but I’ve found seven that are simple, effective, and easy to implement. But first things first, let’s delve a little deeper into cadence itself and why it matters so much. Also known as stride rate, or leg turnover, cadence is the number of steps you take during a given period, typically measured per minute (SPM). Running cadence is one of the most common metrics used to assess running form and remains crucial for several reasons (some of which I’ll discuss in today’s post). Swimmers and cyclists have tracked their RPMs for decades, but the practice of monitoring running cadence only became a thing in the last few years. Factors that determine stride rate include height, weight, fitness level, leg and stride length, etc. What’s The Average Stride Turover? In general, recreational runners take roughly 160 to 170 steps per mine, whereas elite athletes have cadences of 180 per minute or higher (with some reaching 200spm at their fastest speeds, when sprinting for instance). Factors that determine your running cadence include height, weight, fitness level, leg, and stride length. One of the most common running form mistakes I see in many runners is the overstriding. When you overstride, you’ll tend to lock your knees and slam your heel hard on the ground on every foot strike. Get this: overstriding won’t make you go faster. Instead, it’ll slow you down, creating a choppy, bouncy gait, and places additional pressure on muscles and bones, increasing the risk of injury. One way to fix overstriding is to increase your running cadence. By doing so, you’ll be taking smaller steps, with each foot landing underneath your hips, thus, within your center of gravity. Increasing cadence can also result in more efficient running as you translate that energy into forward momentum. Don’t get me wrong. This is not just anecdotal evidence nor simply my own observation. The fact is, science backs this up. 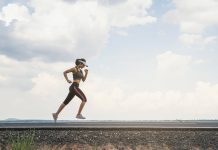 There’s plenty of research that has been devoted to running cadence, some of which have found strong links between leg turnover and injuries. A study published in Medicine & Science in Sports & Exercise has provided evidence that subtle increases in cadence can reduce the energy absorbed by a runner’s weight-bearing joints. The researchers recruited a group of young athletes to run on the treadmill at different step frequencies using a metronome. The subjects were told to run as their usual cadence, faster than their usual cadence, and slower than their usual cadence, and then, while using three-dimensional kinematics, the researchers looked at the impact forces going through the hips, knees, and ankle joints. When the participants adopted a running cadence around 15 percent faster than their preferred step frequency, the load on their weight-bearing joints significantly decreased. This, as the researchers hypothesized, may help prevent common overuse running injuries. Researchers out of the University of Wisconsin-Madison have reached a similar conclusion. 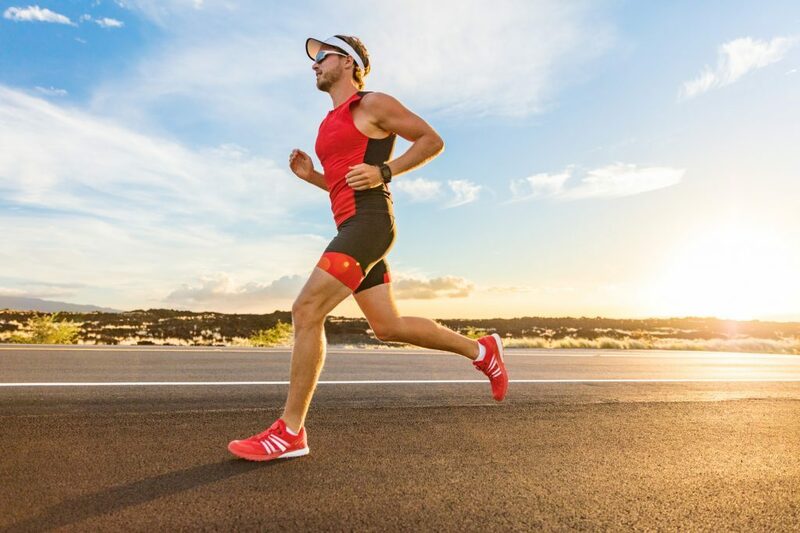 They examined the link between running cadence and impact concluded that mild increases in running cadence could drastically lessen the stress shock to the knee and hip joint during running. This may work very well in the treatment and prevention of common running overuse injury. Here are more links to further research. What is the Ideal Running Cadence? According to conventional thinking, a good running cadence is roughly 180 steps per minute. But here is the truth. Contrary to popular belief in most running circles, there is no such a thing as an ideal, universal, running cadence. According to conventional thinking, the magic number when it comes to cadence is 180-or so, but is it true? Where does that number come from? Certainly, it didn’t come out of thin air. The 180- rule was first observed at the 1984 Los Angeles Olympic Game by Jack Daniels. During these Olympics, the world-renowned exercise scientist looked at the total stride rate of Olympic runners and found that the fastest and most efficient runners took at least 180 steps per minutes, with some reaching as high as 200 SPM, regardless of their size or gender. Unfortunately, as far as I can tell both from my personal experience and the research, most of Daniel’s work has been taken out of context whenever his work is cited to back up the 180 SPM rule. Jack Daniel’s conclusion isn’t a universal rule. It doesn’t mean that every runner, especially recreation runners, MUST have a 180spm cadence. What most recent studies found is that cadence is not a one-size-fits-all. It, in reality, hinges on many factors, such as pace, etc. These differences mean that works the best for one runner (or a bunch of elite Olympic runners for that matter) may not necessarily work for all. 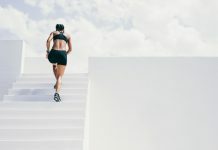 What you should do instead, according to scientists in the field of biomechanics, is to measure your cadence and set a goal to increase by five to ten percent—even if it doesn’t result in a 180 SPM number. Now that you have a clear understanding of what cadence is as well as the many factors that affect it, you can work on improving it (if need be). Here are a few guidelines that can help. The first step to improve your running cadence is to first figure out your current leg turnover. As previously stated, the exact number will vary, mainly, according to the type of run you’re performing. During faster-pace training, chances are your cadence will be quicker and faster than during long or recovery runs. For instance, your racing/speed training cadence will be faster than your basic training level. Your leg turnover will also be different up or downhill sections. For that reason, you’d need first to set your cadence zones up by determining your leg turnover for various paces, including recovery runs, 5K training, tempo running, marathon, etc. Find a smooth, flat surface to perform the test. I recommend a long stretch of road or track. Next, after a thorough warm-up, get in your usual running pace. Then, count the number of foot strikes you take per minute with both feet. To make it easier, pick either your right or left foot, then count the number it hits the ground in a minute. Next, multiply that by two to get the total number of steps. Example. Let’s imagine yours was 77. Double that to get the total steps taken by both feet, which is 154. That’s your cadence for that specific running speed. Hop on a treadmill, then after a 10-minute warm-up, increase your speed by 30-second per mile until you reach your easy training pace. Next, give yourself two to three minutes to adjust to the speed, then count your steps for one full minute. Record the number, then speed up to your next pace. You can also do this on a track, but doing it in the controlled environment of a treadmill is more accurate—especially if you already know your average pace. Now that you have a number, you can gradually work on improving your current cadence for various types of runs. I hate to sound like a broken record but, just like anything training related, it’s essential to take it slow. According to a University of Wisconsin-Madison research, the safest and most efficient way to improve cadence is to increase it by 5 to 10 percent at a time. For example, if your easy runs cadence is 156spm, your goal cadence should be between 163 and 169. 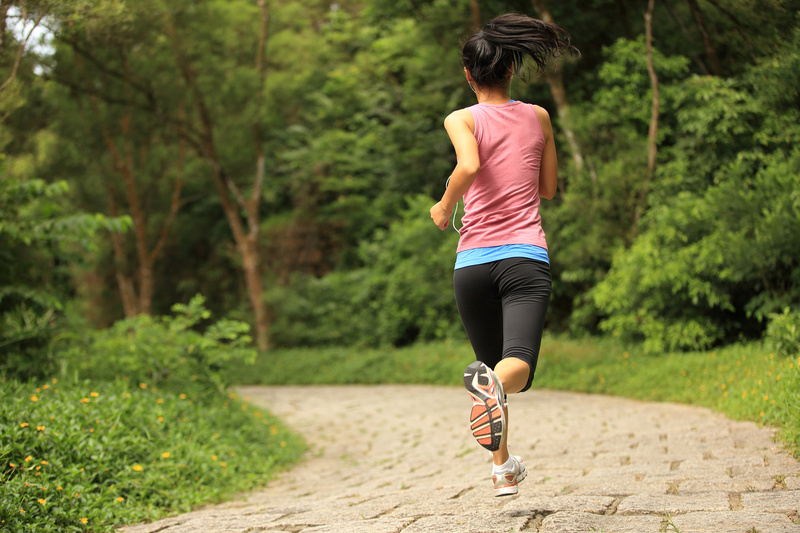 To make a smooth transition into your goal cadence(s), add short segments into your runs. During these segments, try to keep your new leg turnover for a predetermined time/distance. For example, one minute of slightly quicker cadence followed by three to five minutes of your base rhythm. You can also do it by distance, running every third mile or so at a relatively faster leg turnover while maintaining the same effort level. After a while, you’ll be able to do this without consciously thinking about it. Form also matters when trying to increase cadence. Get this. You’ll not be able to increase your running cadence by running faster, but by reducing your stride length. That’s why one little form tweak I’d recommend is to focus on taking smaller steps. Keep your feet close to the ground. Think shuffling motion. Your feet should barely leave the ground (but be careful on trails and rugged terrains). This might feel awkward at first, but as training progresses, it will become second nature. The metronome is a device that produces a predetermined number of clicks or beat per minute that sets the pace for you. This device is great because with its help you’ll no longer have to count the number of steps you take per minute. Instead, you run to the rhythm of the metronome where each click or beat equals a step. Of course, certain running watches (such as Garmin 735XT) have a metronome feature built in. You can also use an app, like Audiostep, Cadence Trainer, or BeatRun. Another smart tactic to help you accelerate the transition to a faster cadence is to download 10 to 12 songs around 180bmp (or near your goal cadence), so your foot strike can sync in with the music. For that, you’ll either need an online recommendation or get a program that analyzes songs and provides the beats per minute. Use a website, like JogTunes, to find songs with beats that match your desired running cadence. These websites have long lists of music playlists that meet a variety of cadences. Perfect for a music lover. Just remember to keep a steady pace by making sure your feet always strike the ground on the beat. Having trouble increasing your cadence? Then you might need some drill training to “drill” faster leg turnover. These simple drills can help your feet to move quick and light, which in turn helps your body get used to a faster leg turnover. Here is one exercise to try. Start by standing tall while assuming an athletic stance with your feet shoulder width apart, core engaged, and back straight. Next, while positioning your arms as if you were running, begin marching in place and swinging your arms. Once you nail the form, speed it up to a jog, lifting up your knees and driving your arms across your body. Then, run in place as fast you can. As you pick up the pace, keep a good posture, and gaze forward rather than looking down at your feet. Your knees should be pointing straight ahead, and heels are touching the floor. Here are three more drills that I believe to be super helpful. Just whatever you do, make sure you’re moving as fast as possible during the drills. That’s how you imprint faster leg motion. Workouts like strides and downhill sprints train your muscles to react and move quicker, helping improve stride rate naturally. Just be careful when performing these workouts since they can increase injury risk if you run with bad form or if you’re out of shape. Strides consist of fast acceleration of running at 80 to 90 percent of maximum effort. One stride should take you about 20 to 30 seconds. Here is how to add them to your training routine. At the end of your workout, run hard for 20 to 30 seconds—or the equivalent of 100 meters—while keeping the focus on fast leg turnover and strong arm drive. Next, give yourself two minutes to fully recover, then repeat. Start with four strides a couple of times per week, then after three to four weeks, increase that to six or eight. Downhill sprint is ideal for improving your technique and increase your leg turnover. After a thorough warm-up on a flat surface, find a hill with a 4 to 6 percent gradient incline. Speed up on the descent, reaching maximum speed velocity at the end of the hill. Jog slowly or walk back to the top, then repeat. Whatever you do, don’t overstride. Instead, reduce your stride length, focusing on a fast and light turnover. Then jog back do to recover. Rinse and repeat for 15 to 20 minutes. Here are five hill workouts to try. Like anything with exercise, it’s important to take it slow. Don’t try to chew more than you can swallow. Otherwise, you’re going to regret it. Improving running cadence is not rocket science, but it does take time. You cannot (nor should you try) to increase it overnight. If you do so, you’ll get hurt. As a rule, give yourself a couple of months for your body to adapt to your new cadence. The full transition and adaptation can take six to eight week before you start feeling comfortable with the faster cadence. It’s going to take you a lot of focus and commitment over that week to stay in turn your stride rate, focusing not only on your cadence but also knee drive and landing midfoot under your body. What I like about cadence is that it’s a straightforward concept. Regardless of your current fitness level or training goals, you can always benefit from increasing your cadence. Of course, it might feel odd during the first few sessions, but with practice and patience you can find your ideal training cadence and reap the benefits of increased running speed and reduced injury. Feel free to leave your comments and questions in the section below.